Is David Rudisha the stand-out athlete of these Olympics? Mangte Chungneijang Mary Kom (as her name is spelled on her site, though there are variations on the Indian Olympics Association and and London 2012 sites), MC Mary Kom, or just Mary, as millions now know her, is a legend in her sport, a five-time gold medallist in the AIBA World Boxing Championship. She was used as one of iconic faces in the attempt to get women’s boxing into the Olympic Games. She had gone against her father’s wishes to pursue boxing. Then she went against the advice of family and friends, who said she would not be able to maintain her standards after her marriage, but her husband gave her his full support. And then she had kids, which can spell the end of any woman athlete's career. But she came back, and continued to excel. Earlier this year, she had go through a lot of tension to make the Olympic grade, where each of the three weight category introduced in London was restricted to 12 boxers. She lost in the quarter-finals, the first time she had failed to land a medal at the World Championships. Indians following the championships were aghast. Mary had a reason for that failure. She had been boxing in lighter categories until 2010, winning silver in 2001 at 45 kg, then her first gold in 2002 at the same weight, before three successive golds in 2005, 2006 and 2008 at 46 kg, and a fifth gold at 2010 at Bridgetown, in the 48 kg class. 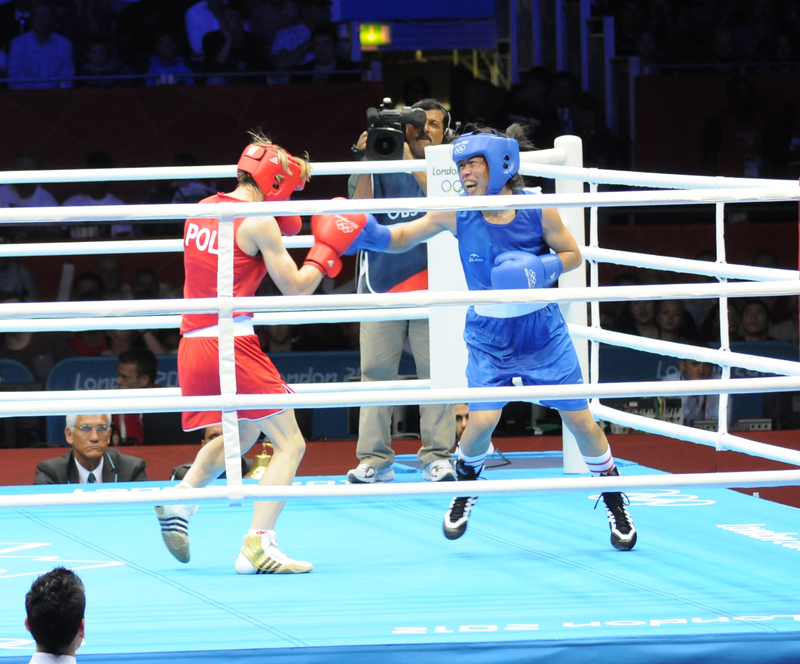 But the women’s Olympic boxing competitions included only three weight classes: 51kg, 60kg and 75 kg. If she wanted to fulfil her dream of Olympic gold was to move up to 51kg. The 2010 Worlds was the last time she fought in the 48kg. 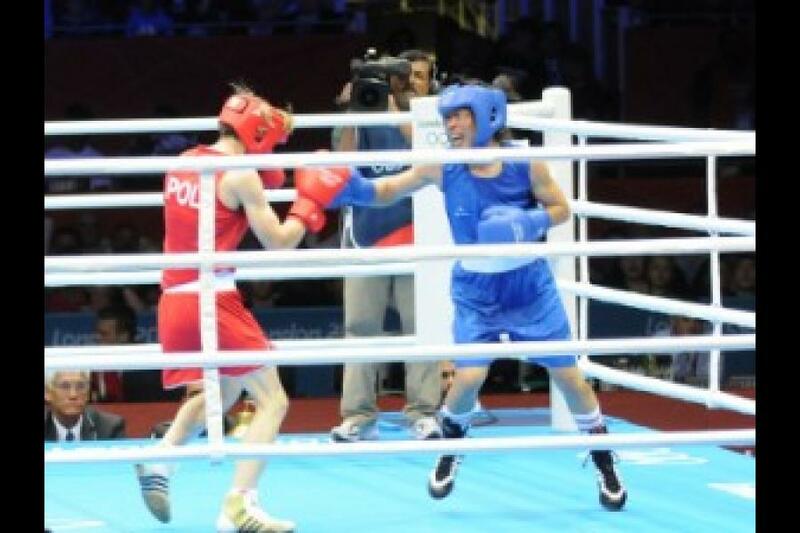 She won only a bronze in the 51kg category in 2010 Asian Games in Guangzhou, where China’s Ren Cancan won gold. Mary’s first gold in 51kg came in 2010, in the Asian Championships, where she won again in 2012 . Mary has trained with taller, stronger boys in the build-up to the Olympics, to help her get accustomed to the heavier category and taller opponents. It's all paid off thus far. She beat Poland's Karolina Michalczuk 19-14 in the pre-quarters and outboxed Tunisia’s Maroua Rahali 15-6 in the quarters to enter the semi-finals. She is now assured of a medal, because in boxing, the losing semi-finallists do not fight each other; both get a bronze medal. But she wants more. And in her way is the same Nicola Adams, who first beat her and then opened the doors for the Indian to get into the Olympics. But this time Adams is fighting in front of an openly partisan home crowd, which has gone delirious in the light of Great Britain’s unprecedented success at the Olympic Games. If she gets past Adams (who she fights later today), she could go up against Ren Cancan, the three-time world champion in the 51kg category, in the finals. In the men’s boxing, of the seven who started out only Devendro Singh is left. He will clash with World No. 2 Paddy Barnes of Ireland in the men's flyweight (49 kg) category. Interestingly, both Mary Kom and Devendro hail from Manipur. 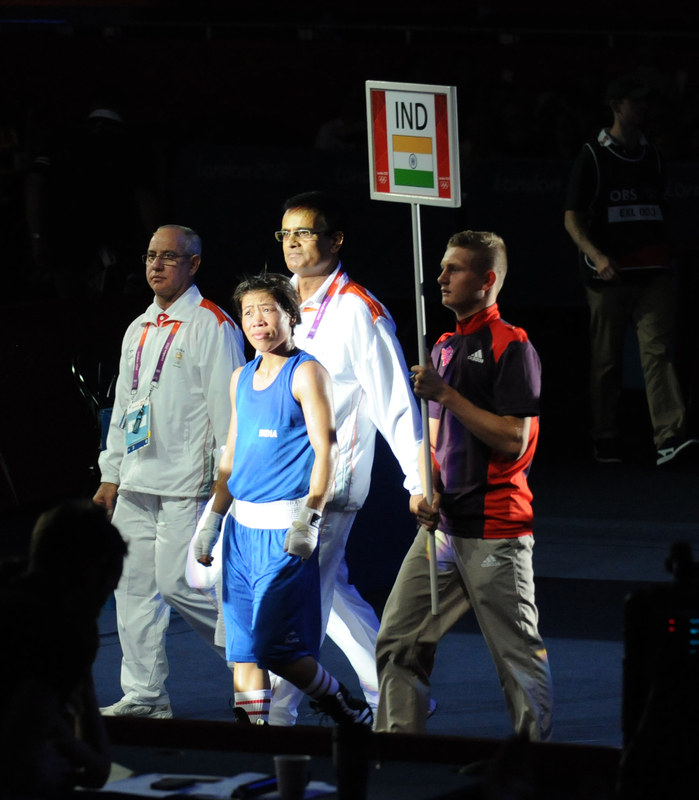 The Indian boxing contingent has been very upset as the result of controversial decisions going against them. Vikas Krishnan’s winning verdict was overturned in favour of his American opponent Errol Spence. Vijender Singh, the bronze medallist in the Beijing Games, was unlucky against his quarter final contest against Abbos Atoev of Uzbekistan which he lost 17-13. 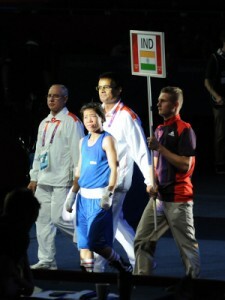 India has already won one silver and two bronze as of this writing, and is assured of a bronze from Mary Kom. The total is better than India’s previous best of one gold and two bronze in 2008. But a gold around Mary Kom’s neck would indeed look lovely and make her the first Indian women’s individual gold medallist.